The legendary Marvel Comics writer Stan Lee has died, aged 95. Without his pioneering work on superhero titles in the 1960s, today's cultural landscape would look very different, with no Iron Man, Spider-Man, Hulk, Black Panther or X-Men, writes BRUCE MUNRO. 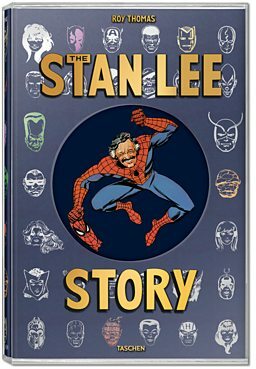 In The Stan Lee Story, Roy Thomas offers his readers Stan Lee's own account of the turning point of his comic book career in the early 1960s. Why don’t you write one the way you want to write it? You’re going to quit anyway, so if he fires you, who cares? Lee said: "Well, I had been in the business for a million years and I was ready to quit because I didn’t like the stuff we were publishing. "Well, I wanted to get paid, so I did it, but after a while, I got sick of it and I said to my wife, 'I’m going to quit.' And she said to me the wisest words since the Ten Commandments. She said, 'Why don’t you write one the way you want to write it? You’re going to quit anyway, so if he fires you, who cares? But get it out of your system.' And that’s when we did... The Fantastic Four." While the various Fantastic Four film adaptations have generally been seen as flops, it was a revolutionary comic book. In a 1983 article, comic book writer Alan Moore reflected on the impact Lee's characters. Moore created titles like Watchmen and The League of Extraordinary Gentlemen as well as writing Batman and Superman stories. He reports being captivated as a child by how different the Fantastic Four characters were in comparison to the clean-living, square-jawed heroes of DC Comics. "The writing, however, was stranger... What was special was the characterisation... the way the characters talked, thought and behaved... On more than one occasion the Thing came dangerously close to actually murdering the Human Torch while in a bad mood and in general you had the impression that he was always on the verge of turning into a fully fledged villain and quitting the Fantastic Four for good. "To someone who had cut his teeth upon the sanitised niceness of the Justice League of America, this was heady stuff indeed. I mean, in DC comics, if Superman ever said anything remotely nasty to Batman or Wonder Woman you knew that he was either suffering from the unpredictable effects of Red Kryptonite or was having his mind controlled by Lex Luthor’s latest 'Brain-Ray'." 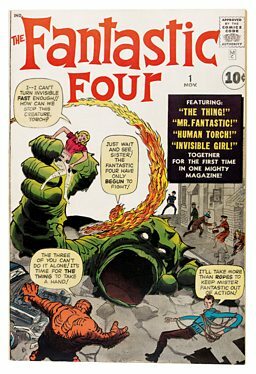 The creation of the Fantastic Four was just the beginning of an incredibly fertile creative period for Stan Lee and his most regular collaborator, Jack Kirby. Due to the impressive sales figures for Fantastic Four, Lee and Kirby's publisher Martin Goodman wanted them to create another superhero team. But they had other ideas. Roy Thomas says that instead they chose to focus on another aspect of the Fantastic Four's appeal. He writes: "Since clearly the breakout star of Fantastic Four was the Thing, the new superhero wasn’t really another superhero — but rather another sympathetic monster. The Incredible Hulk. "[But] readers turned out to be less excited by a monster hero who lacked superheroes to interact with. In fact, after a mere half dozen issues, The Incredible Hulk would actually be cancelled." Warning: Third party content may contain adverts. 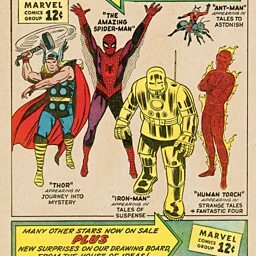 In 1966 Marvel superheroes broke out onto TV with simplistic cartoons featuring the likes of the Hulk as well as Spider-Man, Iron Man and Thor. This initially muted reaction to the Hulk didn't slow them down, though. Thomas writes: "There’s no way to be sure which new hero series was created third, after Fantastic Four and Hulk, since three new characters would debut that summer  over a period of just a couple of weeks: Thor, Ant-Man, and Spider-Man. But there’s a very good chance it was the wall-crawler. You can’t call a hero Spider-Man, Stan. People hate spiders! "In his youth, Stanley Martin Lieber [Lee's real name] had loved the masked hero of a pulp magazine called The Spider. There hadn’t really been anything spiderlike about him besides his name, but Stanley had loved that name. But when Stan Lee told his boss his Spider-Man idea, Goodman loathed everything about it! "The name? 'You can’t call a hero Spider-Man, Stan. People hate spiders!' The concept? 'He’s a teenager? Teenagers can only be sidekicks!' The 'personal problems' Stan wanted him to have? 'Heroes are too busy fighting evil to slow down the stories with personal stuff.'" 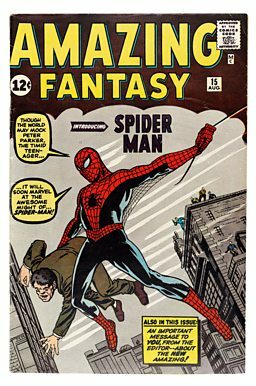 Despite all of Goodman's reservations, Lee got to publish a Spider-Man story in an edition of Amazing Adult Fantasy. The character was designed by Steve Ditko rather than Jack Kirby. Ditko said of his design: "One of the first things I did was to work up a costume. A vital, visual part of the character. I had to know how he looked before I did any breakdowns. For example: A clinging power so he wouldn’t have hard shoes or boots, a hidden wrist-shooter versus a web gun and holster, etc... I wasn’t sure Stan would like the idea of covering the character’s face but I did it because it hid an obviously boyish face. It would also add mystery to the character." When sales reports for Spider-Man's debut in Amazing Fantasy No 15, publisher Martin Goodman declared it a "smash success" and suggested to Lee that the character be given his own series. The initial appearance of Iron Man, in Tales of Suspense, in which he fought against North Vietnamese forces was, in some ways, standard comic book fare according to Roy Thomas. 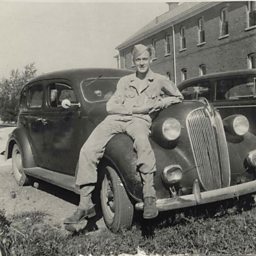 He writes: "That tale was a natural successor to the superhero-versus-Axis yarns that he and other Timely writers had scribed during World War II, only with Communists replacing the Nazis and Japanese." But the man inside the suit, Tony Stark, was a deviation from the norm. According to Lee, the character was a deliberate challenge he set himself. Lee said: "It was the height of the Cold War. The readers, the young readers, if there was one thing they hated, it was war, it was the military. So I got a hero who represented that to the hundredth degree. "He was a weapons manufacturer, he was providing weapons for the Army, he was rich, he was an industrialist. I thought it would be fun to take the kind of character that nobody would like, none of our readers would like, and shove him down their throats and make them like him." Martin Goodman, publisher of Marvel comics, continually pushed Lee to copy successful formats. Thomas writes: "With both Fantastic Four and Spider-Man selling, Martin Goodman wanted a virtual clone of each. That’s right — two additional superhero titles, to debut in the summer of ’63 — one featuring a group of heroes, the other, a solo stalwart. And Stan, way past all thoughts of leaving either the company or the comicbook industry by this point, was happy to oblige. "The group title came easiest. Rather than having its heroes acquire superpowers via cosmic rays, gamma rays, a radioactive spider, whatever — what if they were born with them?" 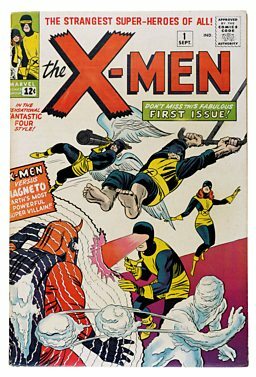 Lee again collaborated with Jack Kirby to create the original X-Men crew – Cyclops, Marvel Girl, the Beast, Iceman, and the Angel, led by Professor X – who were pitted against the evil mutant Magneto. But when the production of the single superhero story, Daredevil, was delayed (the illustrator struggled to fit it in around his day job at Hallmark Cards) Lee brought together some of his existing characters – Thor, Iron Man, the Hulk, Ant-Man and the Wasp – in a team he called The Avengers. Thomas writes: "Stan would make major changes to The Avengers, from issue to issue, as befitted a series cobbled together to meet an 11th-hour emergency... by Avengers No 3, Iron Man would sport new, streamlined, red-and-yellow armour... and in the landmark fourth issue, at the turn of ’64, he brought back the third of Timely’s Golden Age Big Three heroes. "Captain America, it was discovered, had been frozen in suspended animation inside an iceberg since near the end of the Second World War. Sensing that 'Cap' was a natural leader, Stan made him a linchpin of the group almost at once." Lee also innovated in terms of race, introducing Black Panther, a stereotype-free black superhero who first appeared in a Fantastic Four story in 1966, only two years after the end of public segregation. It was a strange coincidence because at the time I did The Black Panther, there was a political party and they were called the Black Panthers. He said: "He doesn’t live in a regular tribe and so forth; he is the prince of a nation, and the nation is hidden under the ground. It’s a country called Wakanda, and he is one of the greatest scientists in the world; and his area, his country is more scientifically advanced than any." Despite the name, the character was not meant to be explicitly political. 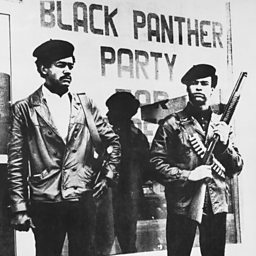 Lee remarked: "It was a strange coincidence because at the time I did The Black Panther, there was a political party in the country - mostly black people - and they were called the Black Panthers. And I didn’t think of that at all! It had nothing to do with our character, although a lot of people thought there was some tie-in. Stan Lee's legacy stretches beyond the characters he created. While Alan Moore criticised the quality of Lee's later work, he argued that the writers who came behind Lee were in his debt. He wrote: "If I wore a hat it would certainly be doffed to Mr Lee for providing me with the inspiration that is currently helping to pay my rent." Some claim that Lee has received more credit than he deserves for the creation of Marvel characters. Much of this is due to the way that Lee kept up with high volume of content for the many Marvel titles that were published every month. In his extensive 2016 Vulture piece on Lee's legacy, Abraham Riesman outlined the impact of 'the Marvel method'. He wrote: "To save time while writing a dozen or more comics at once, Lee had recently developed a thrifty alternative to writing out full scripts. He’d merely come up with a rough plot — 'as much as I can write in longhand on the side of one sheet of paper,' as he put it in a 1968 interview — talk that over with the artist, then make the artist go off and create the entire story from scratch." But Riesman points out that this approach also had the effect of encouraging creativity. He says: "The Marvel method gets a bad rap in the comics community these days because it allowed Lee to claim he’d written stories that were actually co-plotted by the artists, but at the time, it was an artistically fertile game-changer. The tyranny of full scripts was over, and artists were free to come up with graphic ideas that worked for them." The Stan Lee Story by Roy Thomas is published by TASCHEN on 19 November. A version of this article was originally published on 6 November 2018. How the late, great Stan Lee led the 1960s superhero revolution. 10 brilliant manga titles to start your collection. 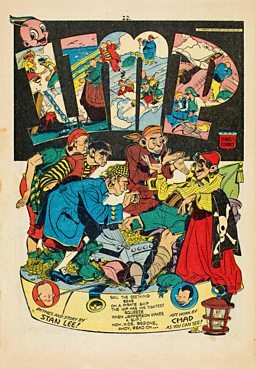 Edward Ross's graphic novel is a mix of film history and analysis. Artist Frank Quitely on X-Men, Batman and Superman.